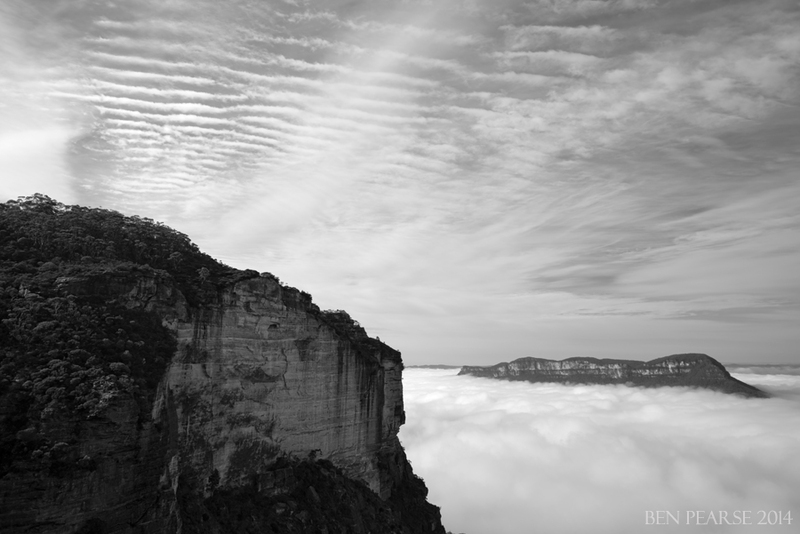 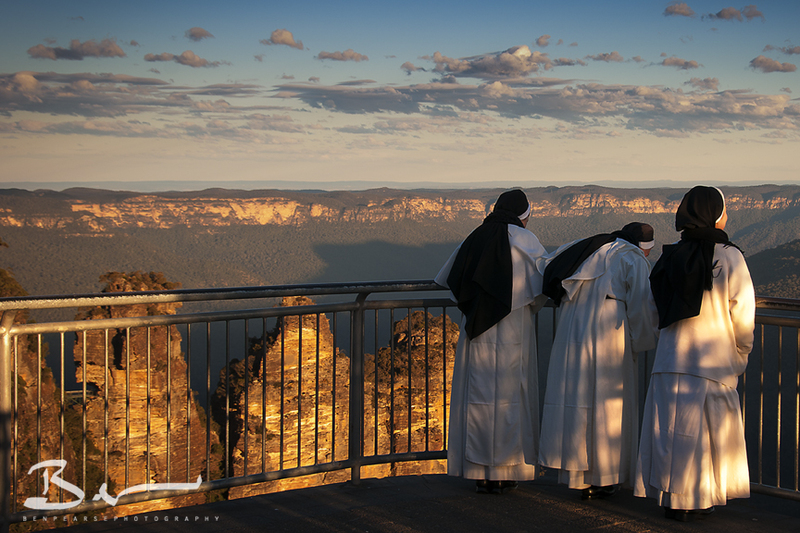 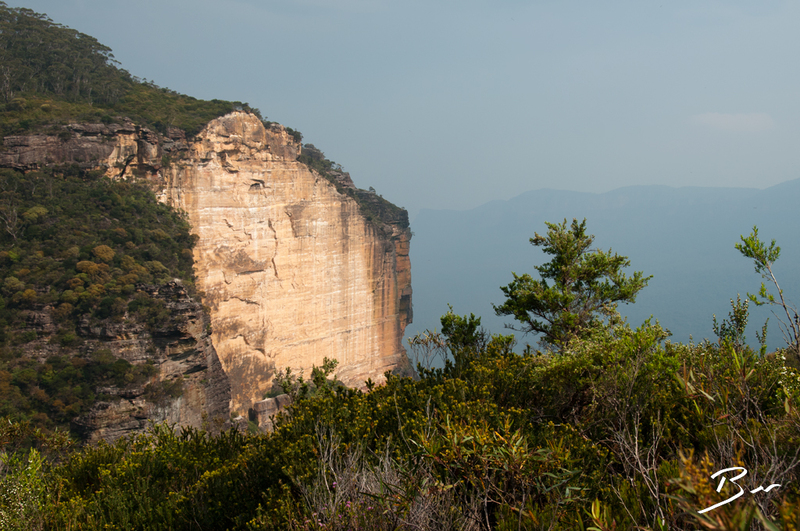 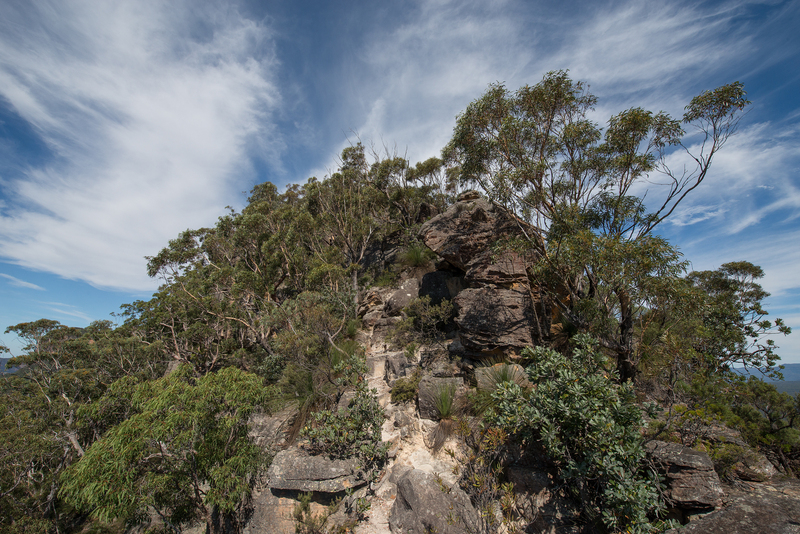 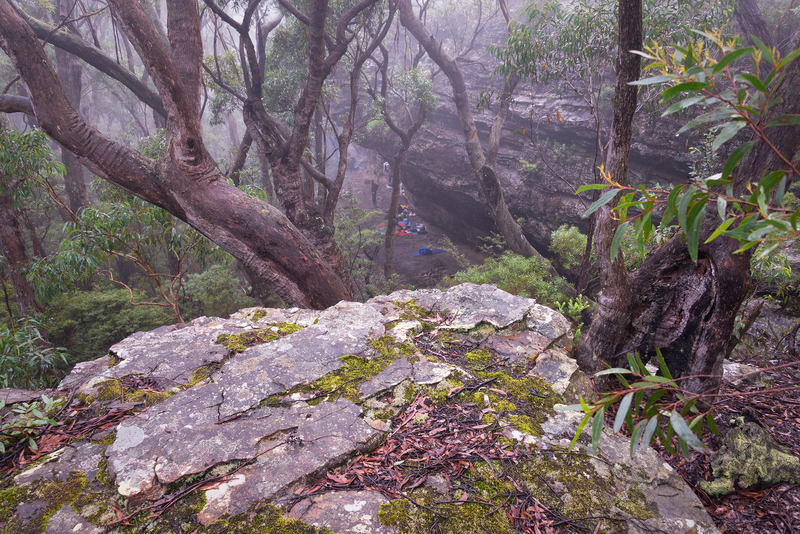 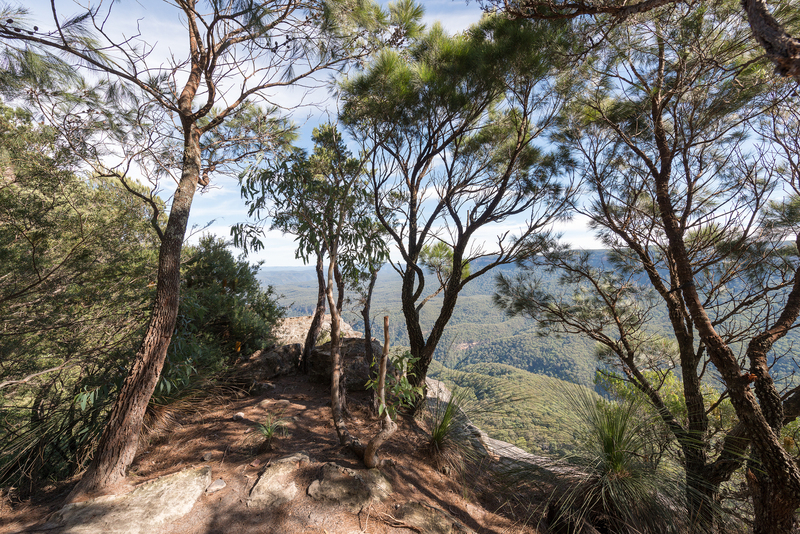 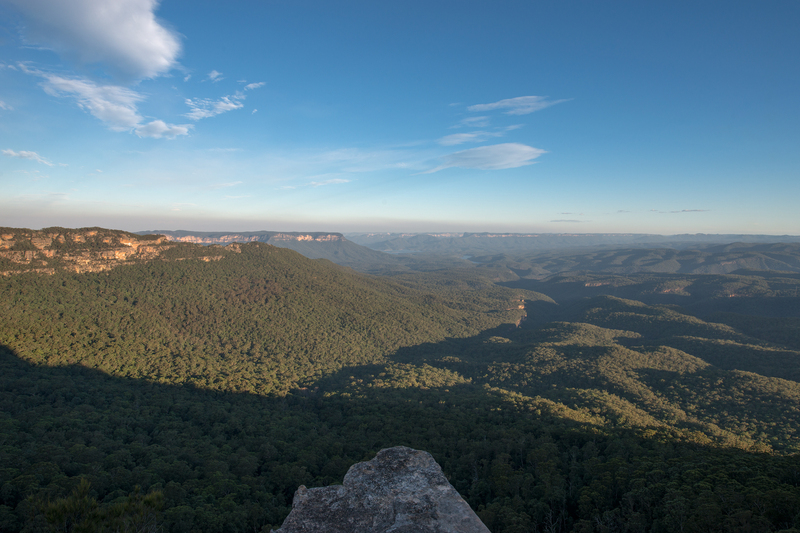 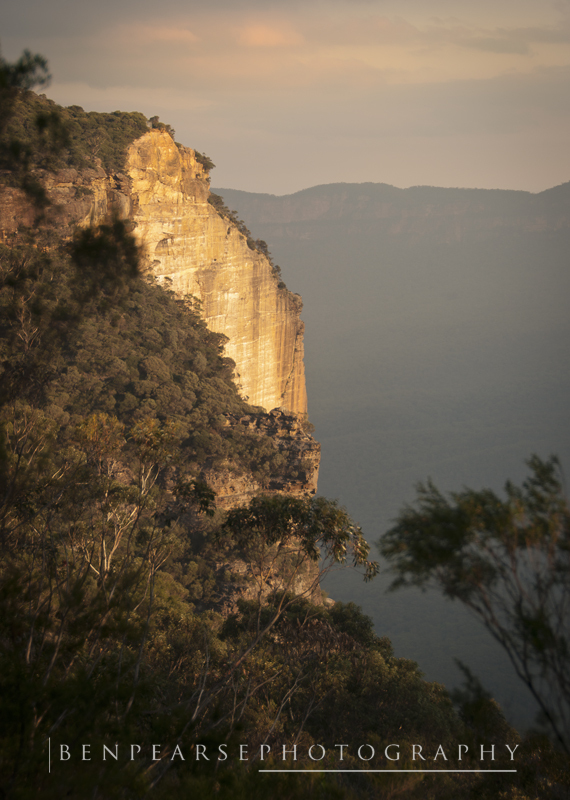 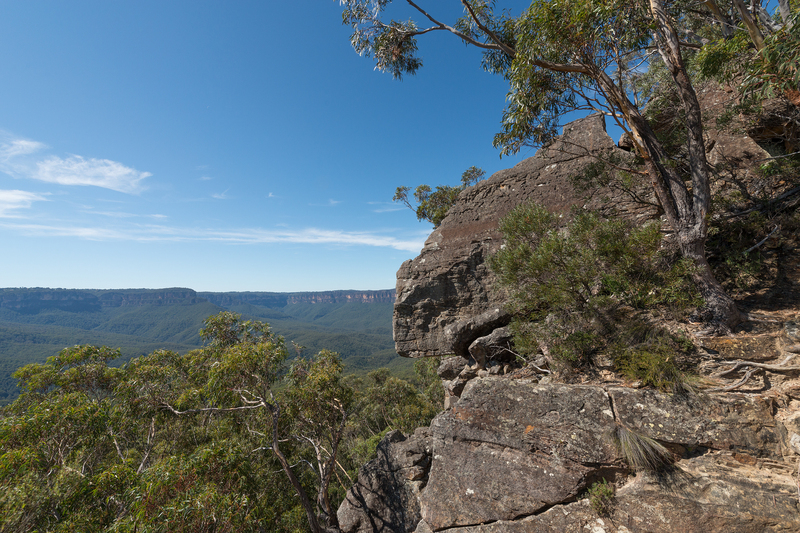 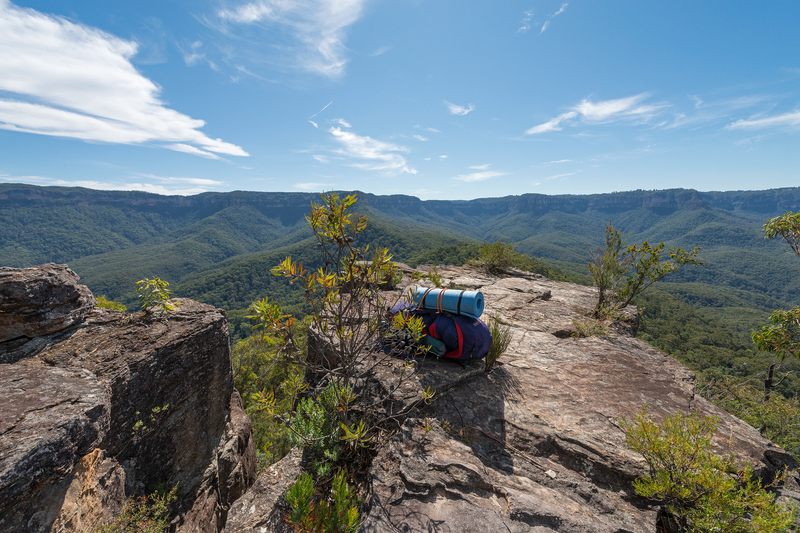 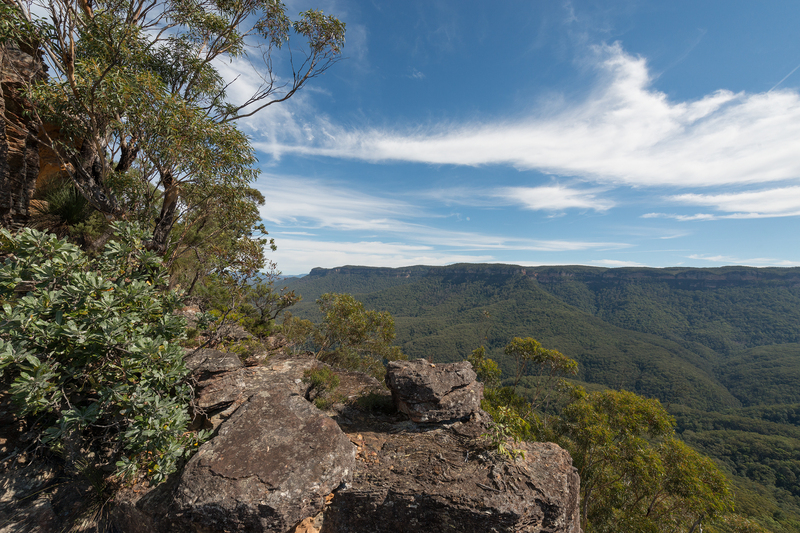 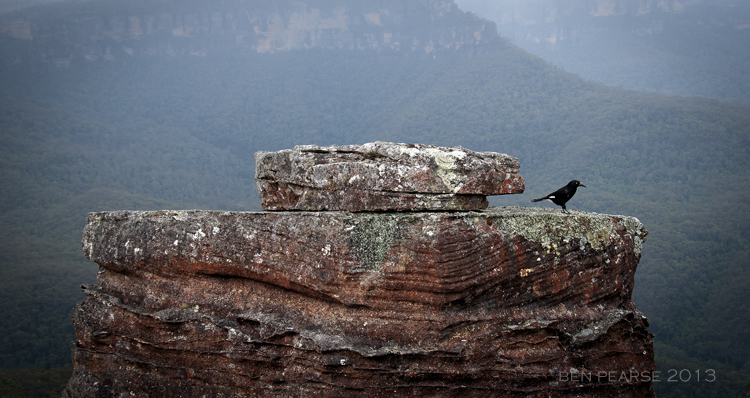 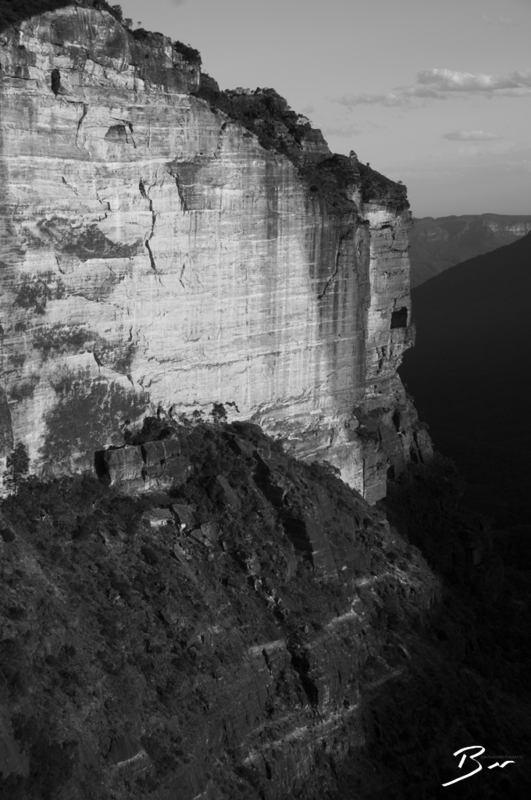 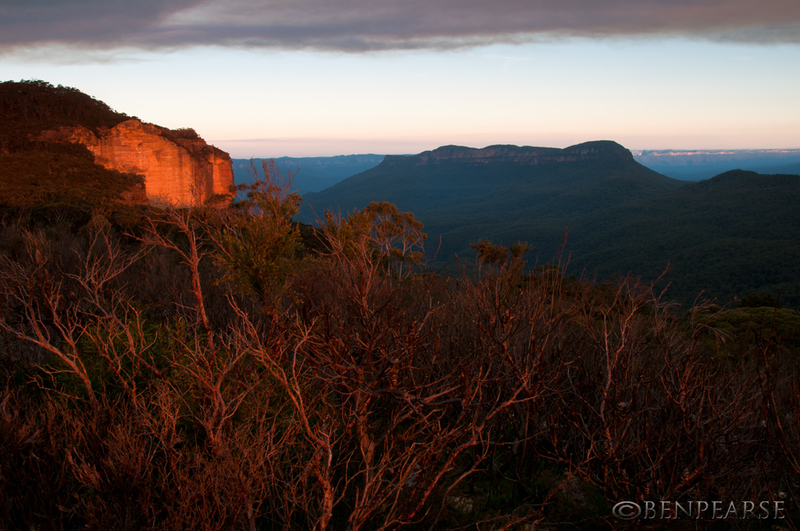 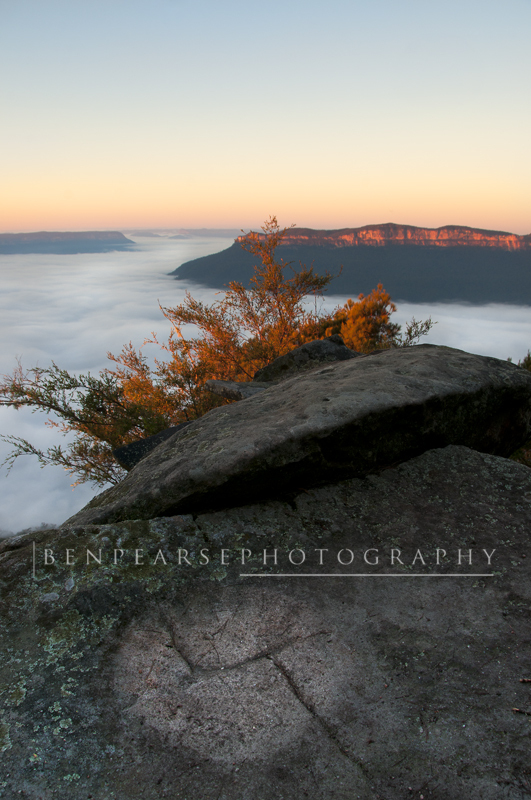 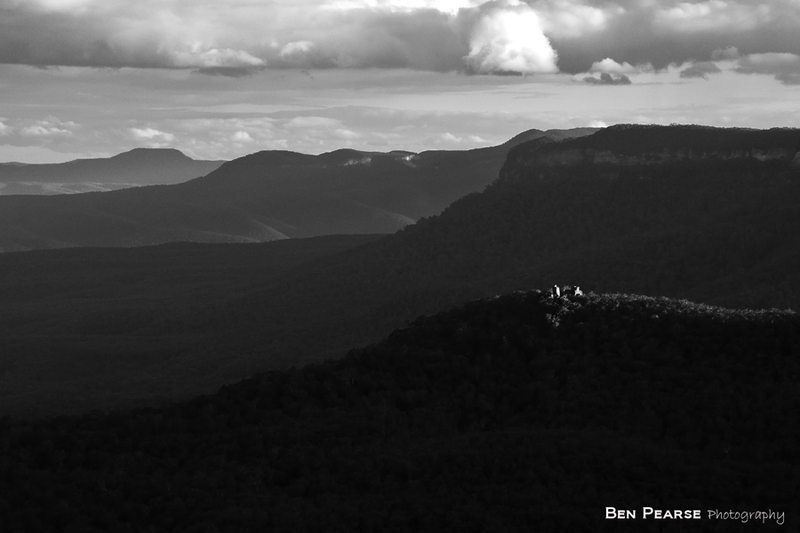 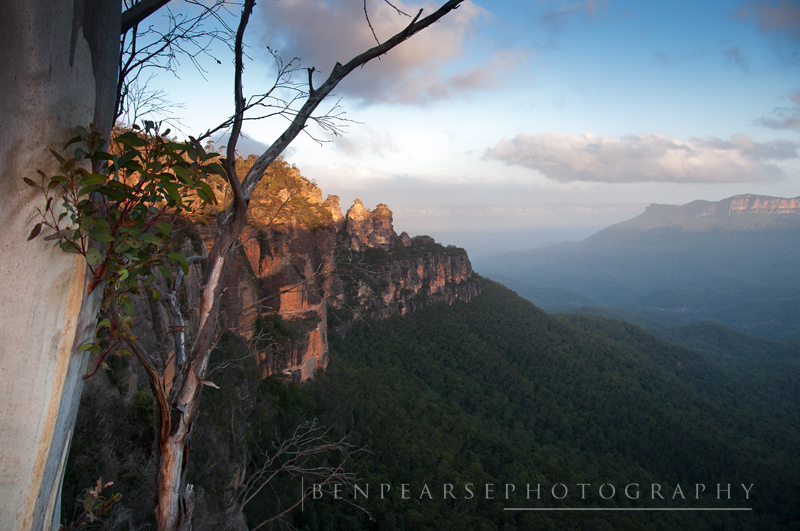 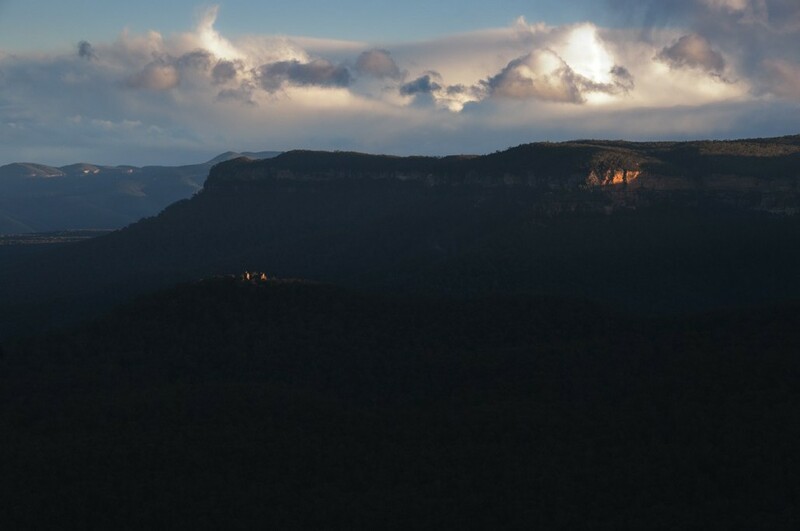 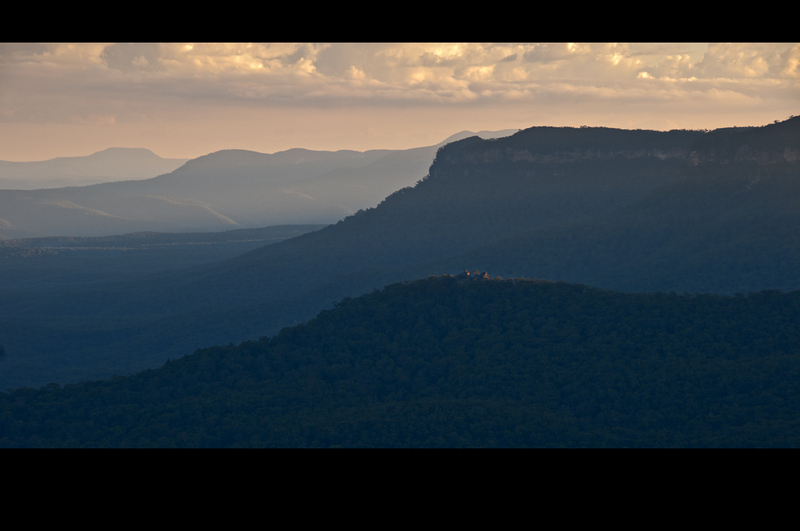 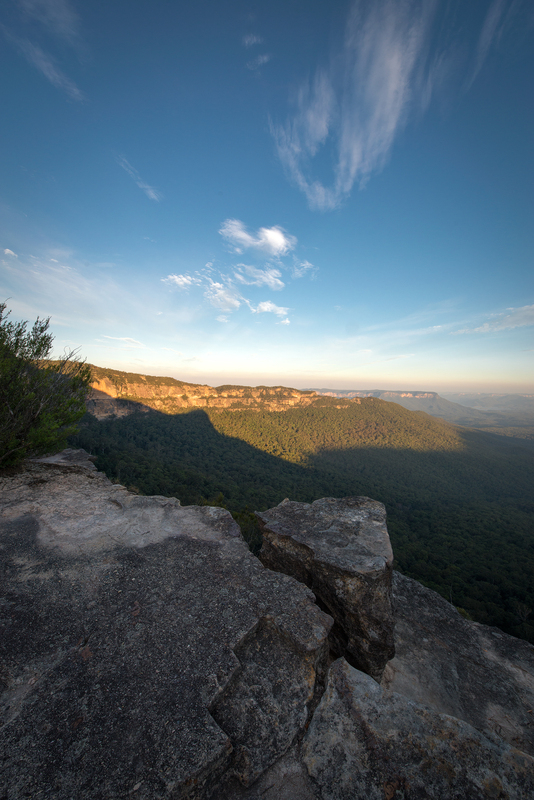 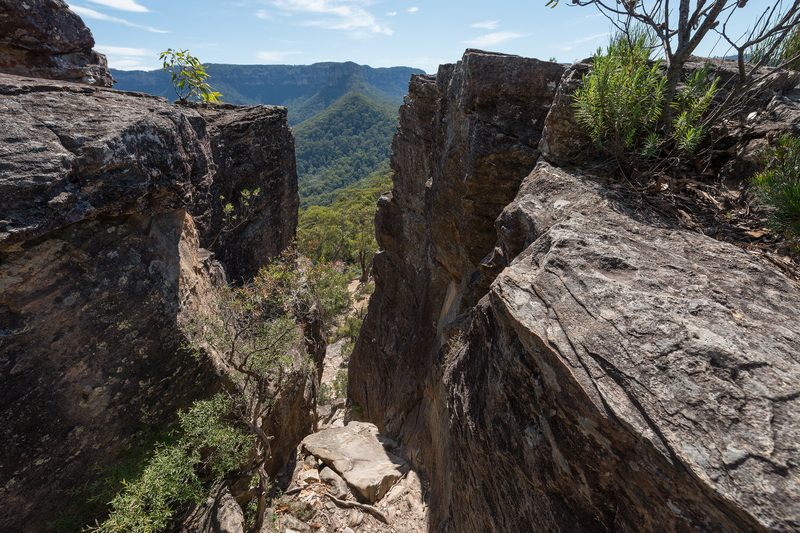 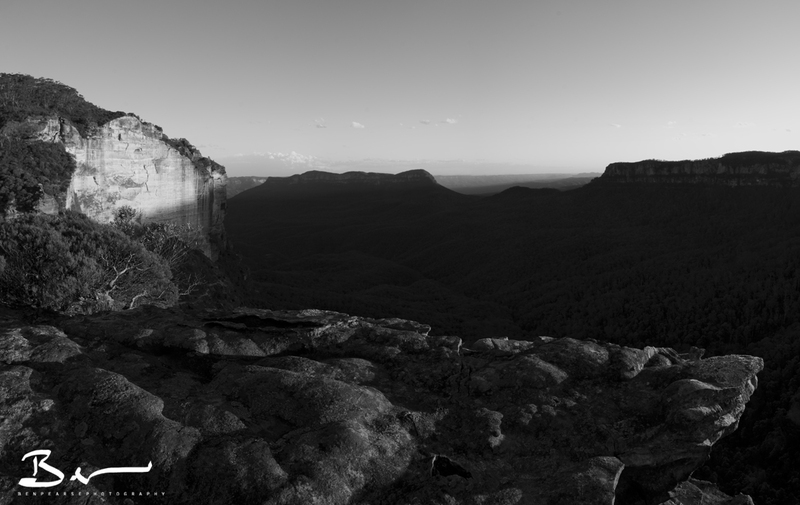 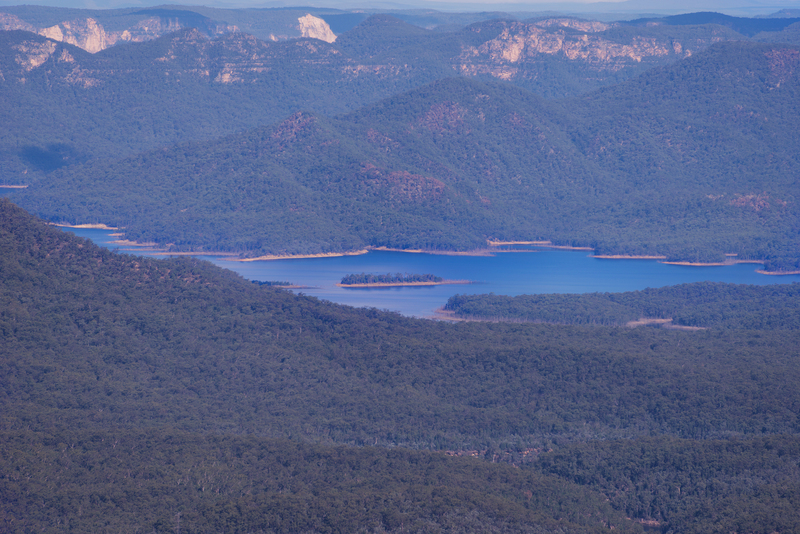 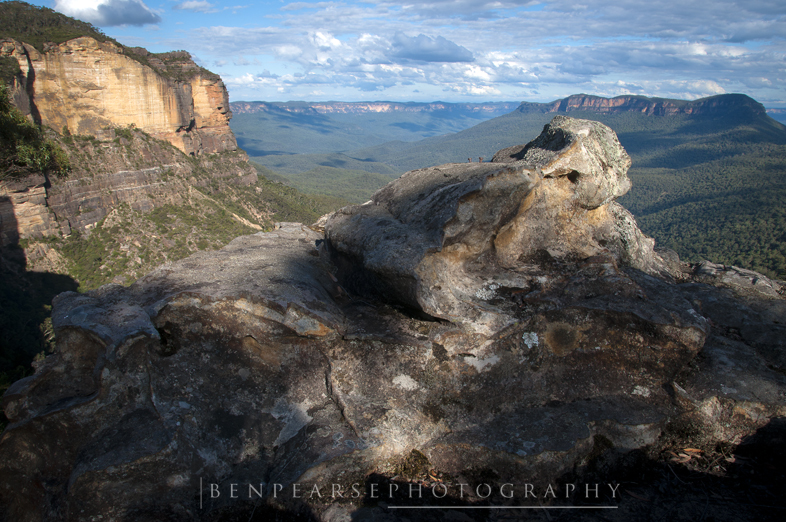 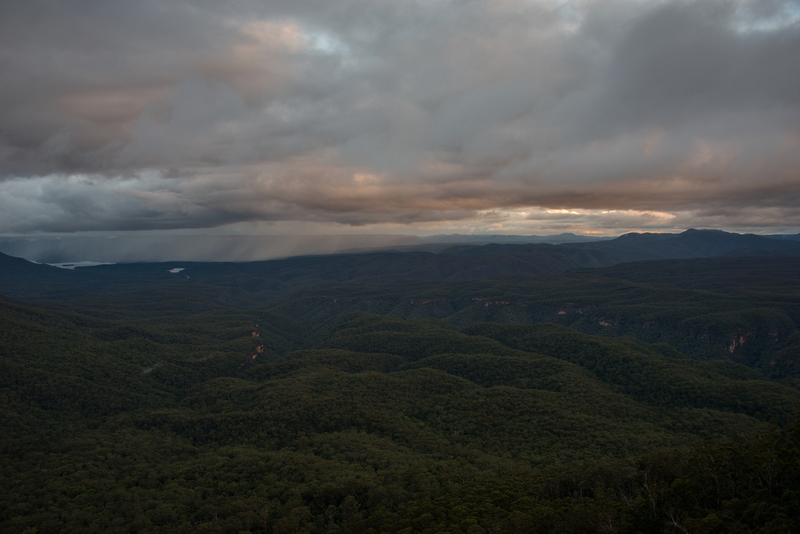 One of best viewing platforms to see the beautiful Jamison valley in the Blue Mountains has always been from Echo Point in Katoomba. 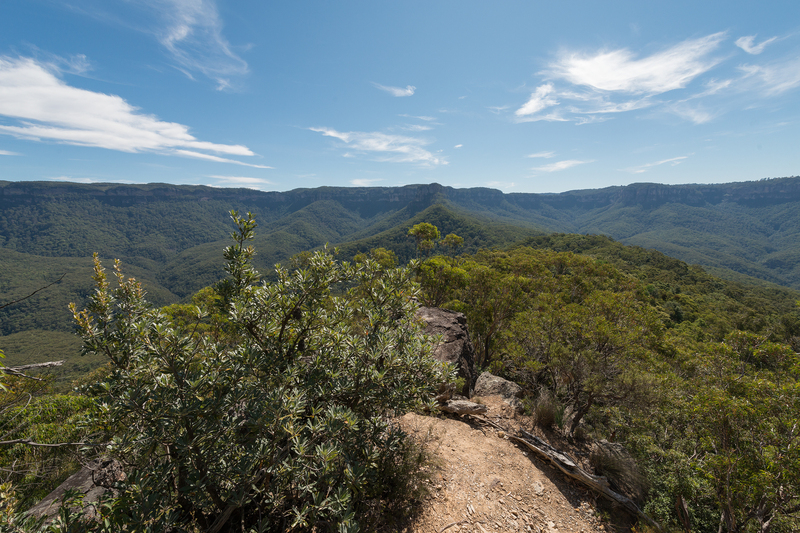 From this very popular tourist destination you can often see jamison valley transform through it’s different moods before your eyes. 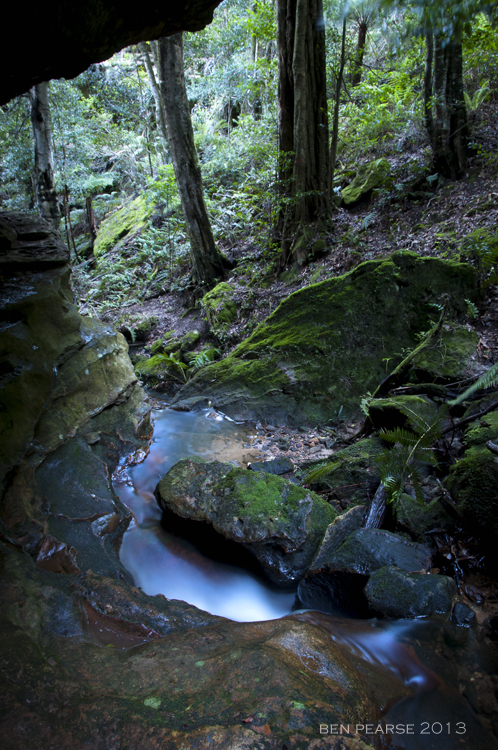 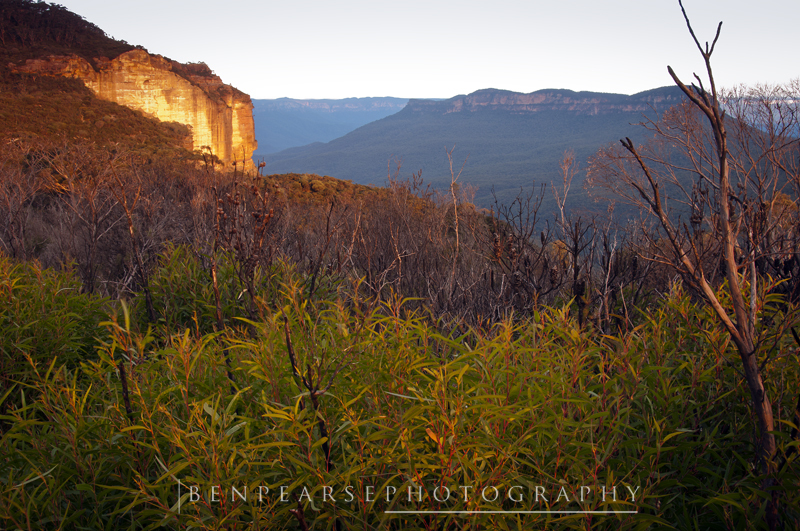 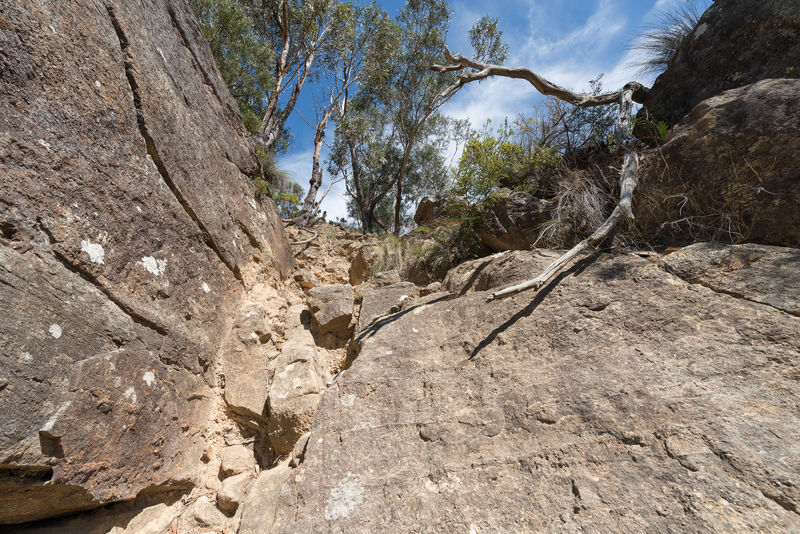 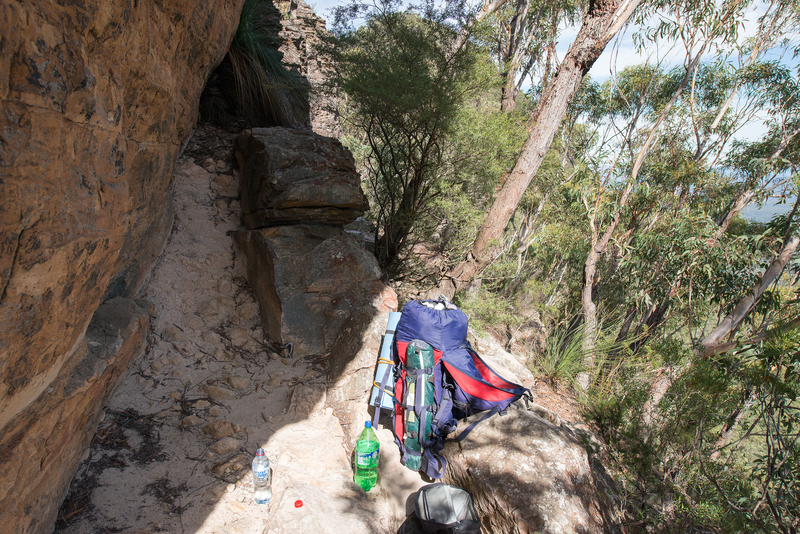 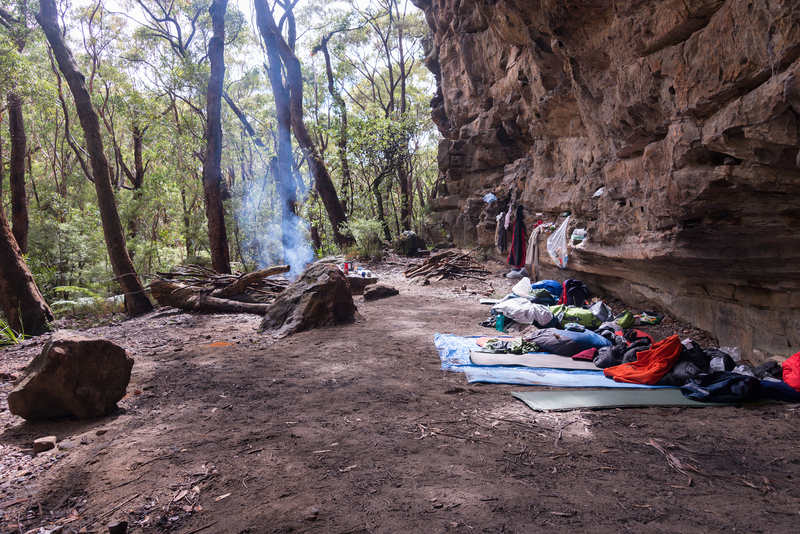 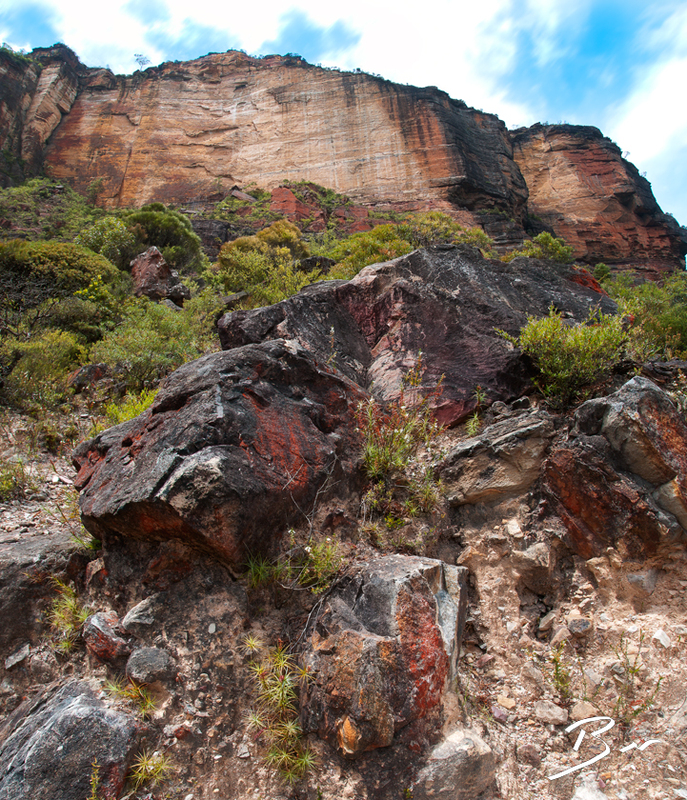 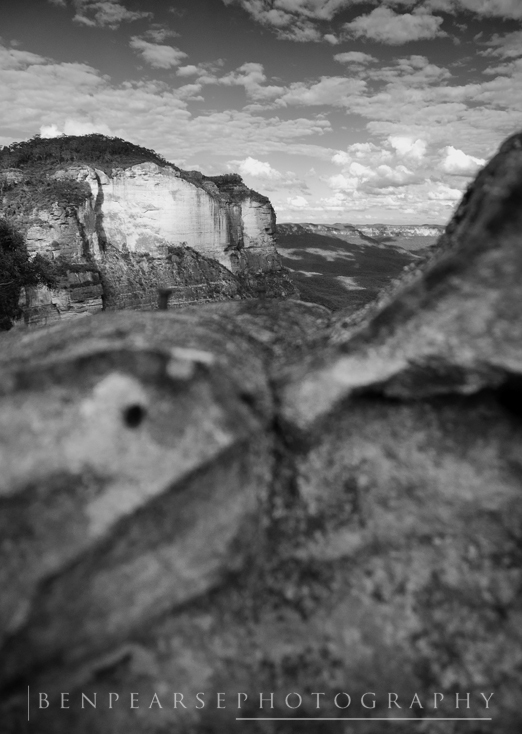 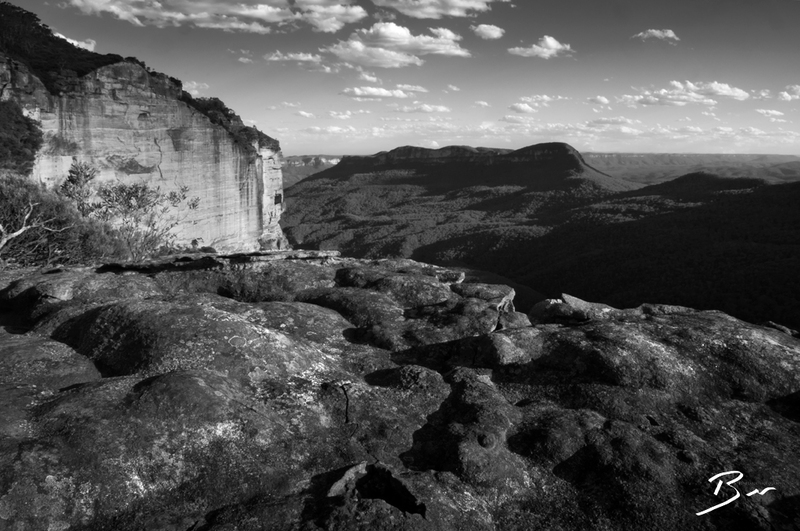 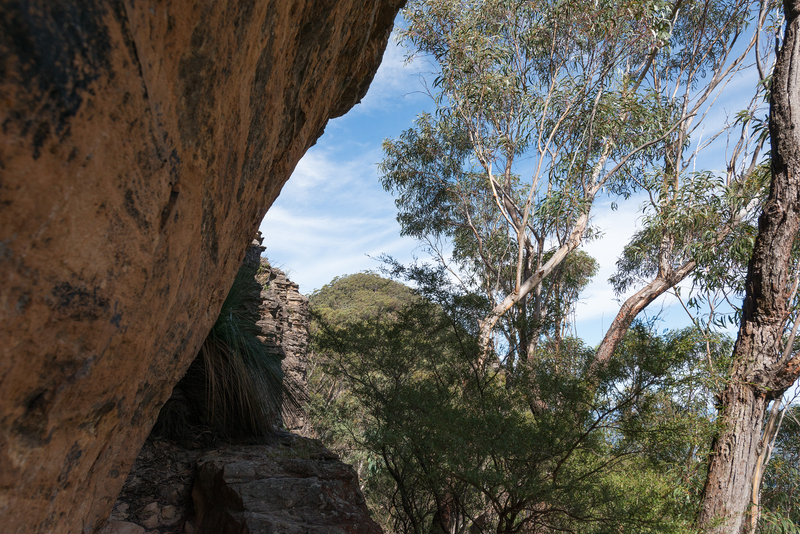 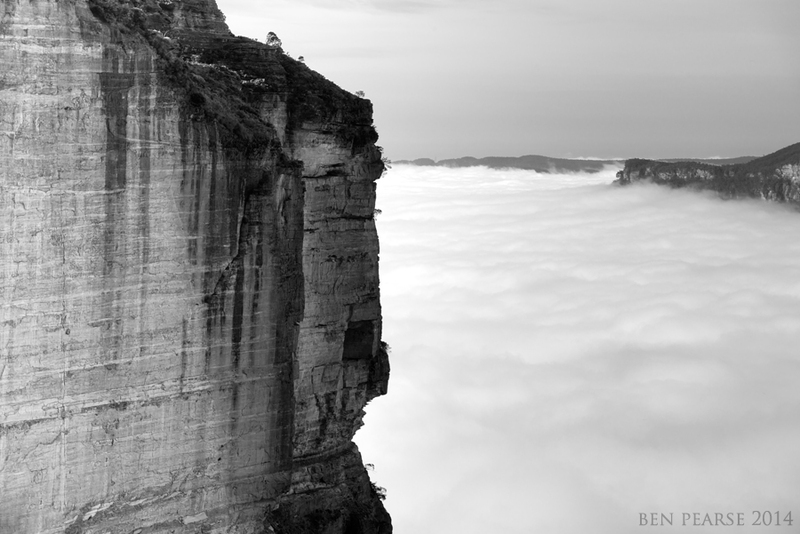 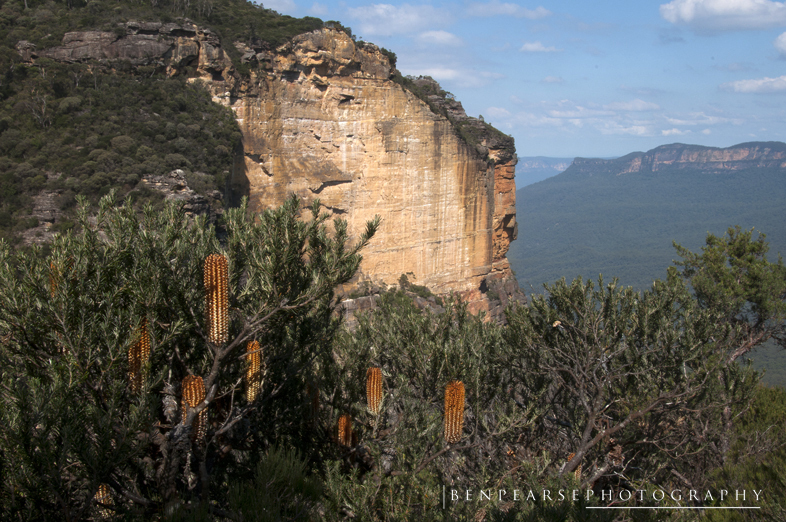 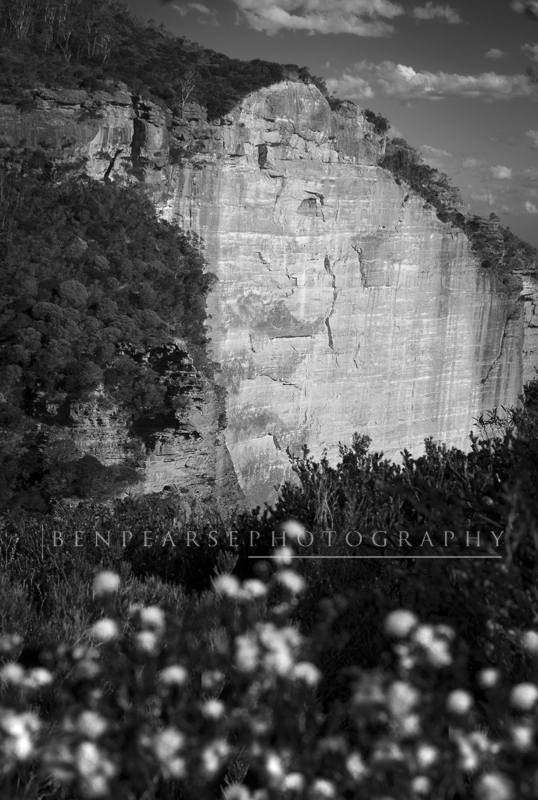 The valley is a sandstone area much like most of the Blue Mountains and Sydney area, characterised by it’s steep sandstone cliffs. 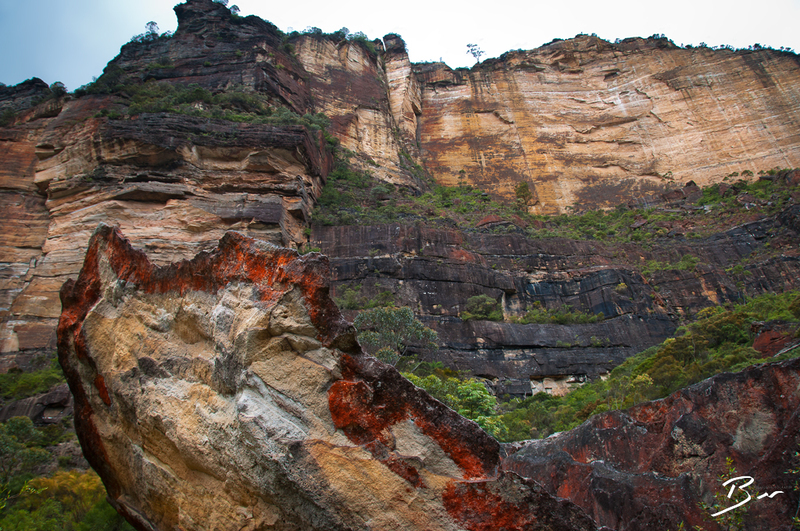 Much of the soil in the region has a layer of shale throughout which has been eroded over time causing the sandstone to collapse, which helps form the beautiful deep valleys and canyons. 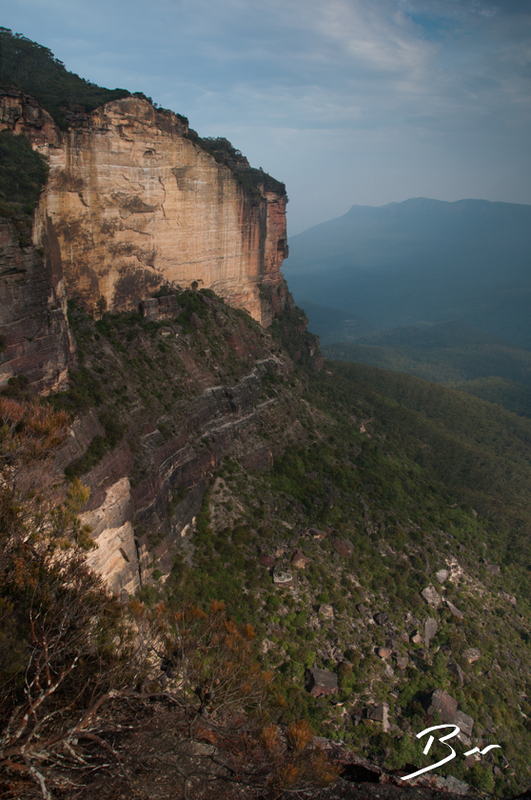 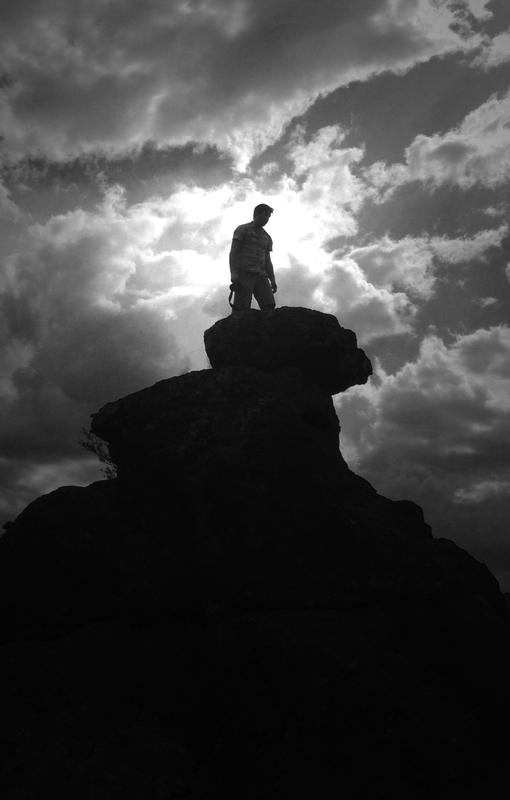 I spent a large part of my youth and beyond roaming and climbing around these beautiful areas. 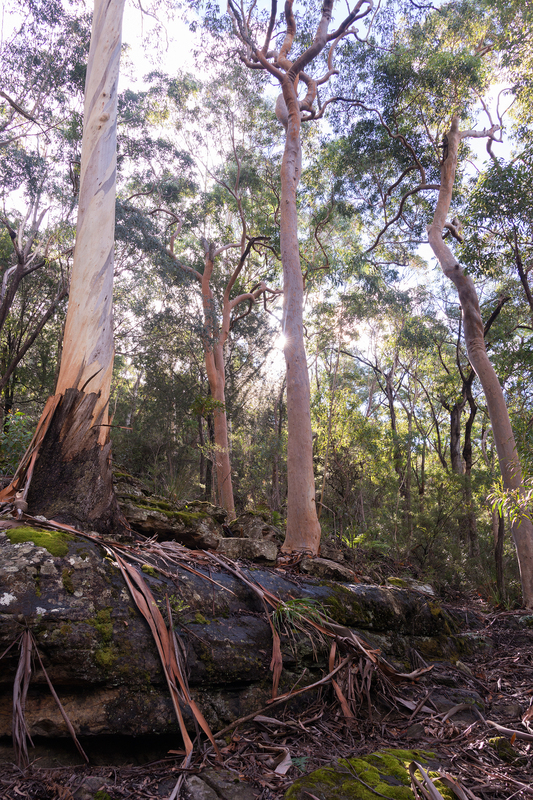 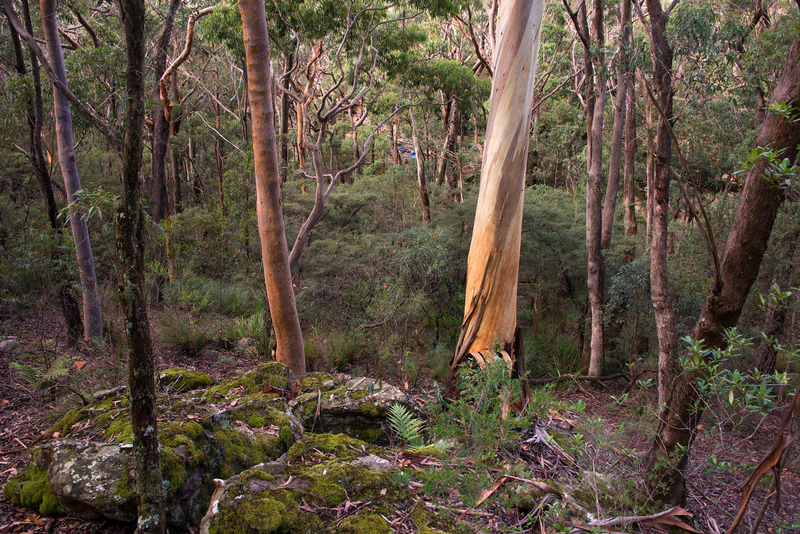 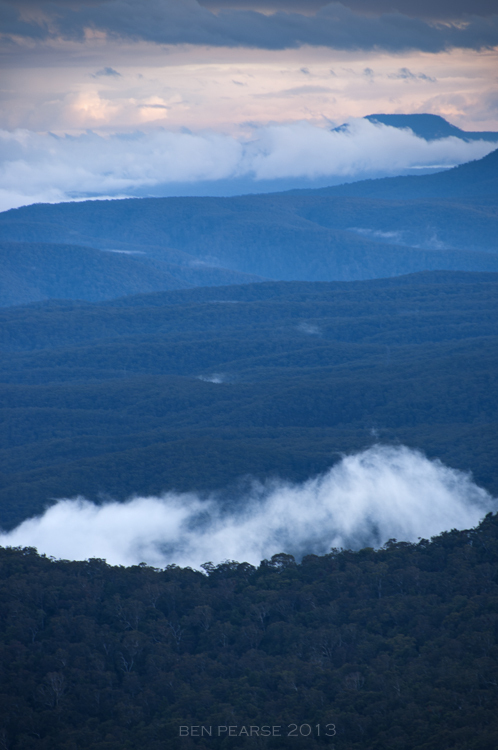 The jamison valley is populated densely with Eucalyptus trees, often giving it a blue haze that looks stunning upon sunset. 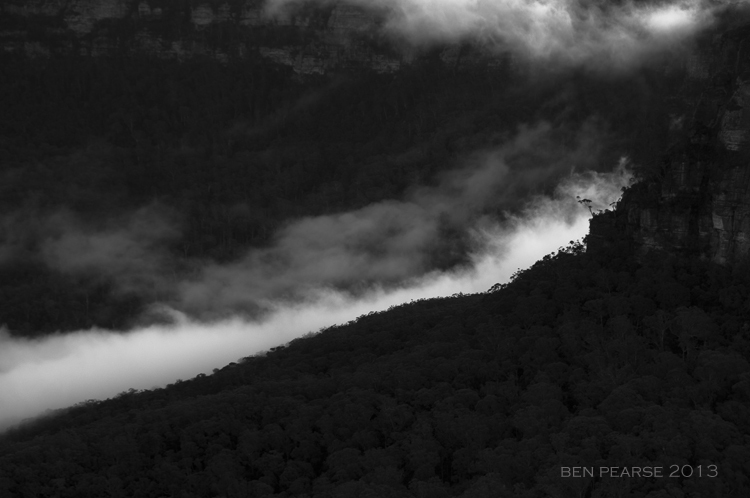 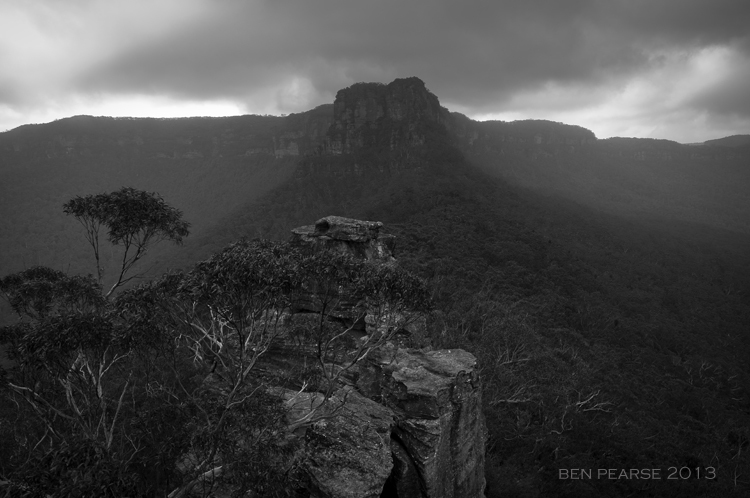 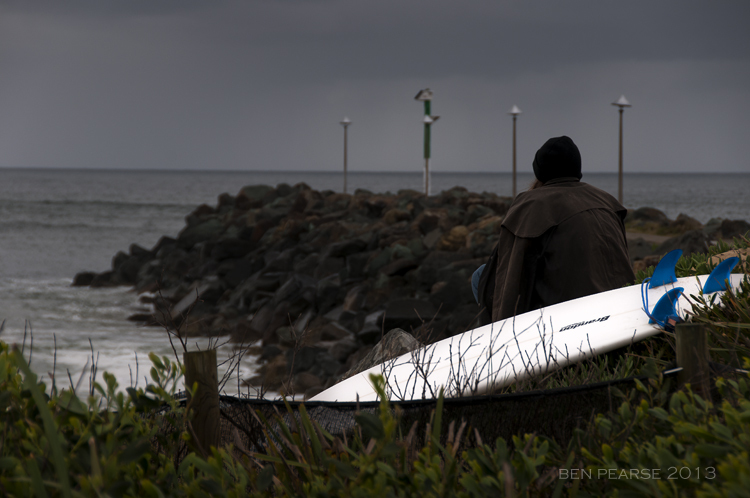 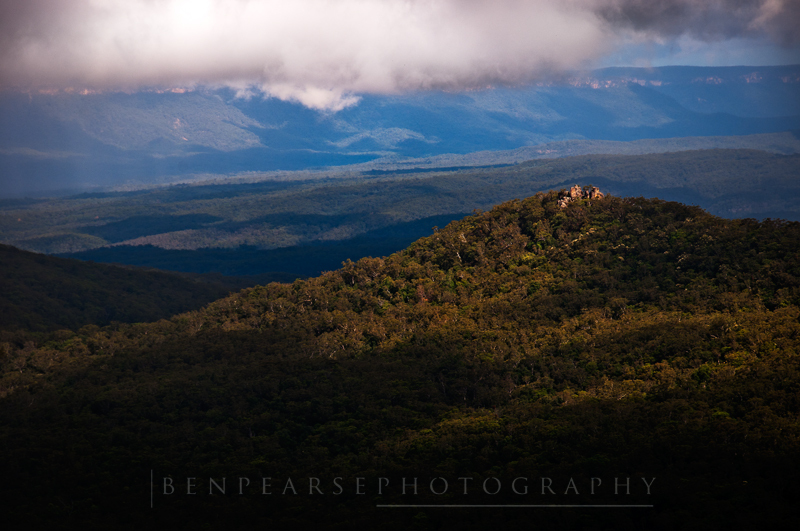 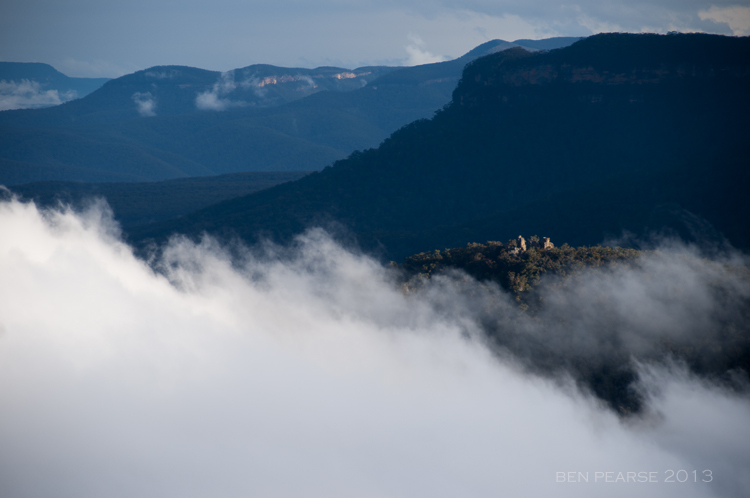 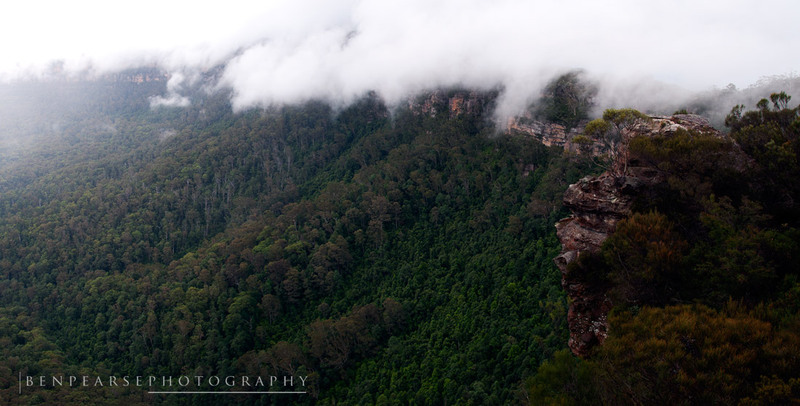 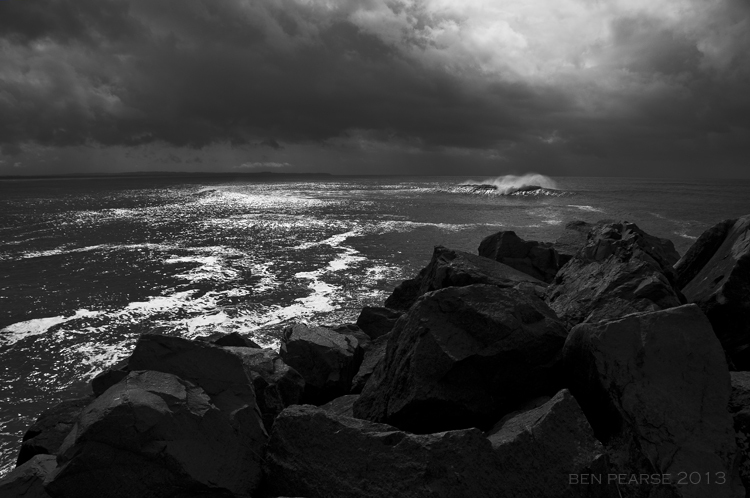 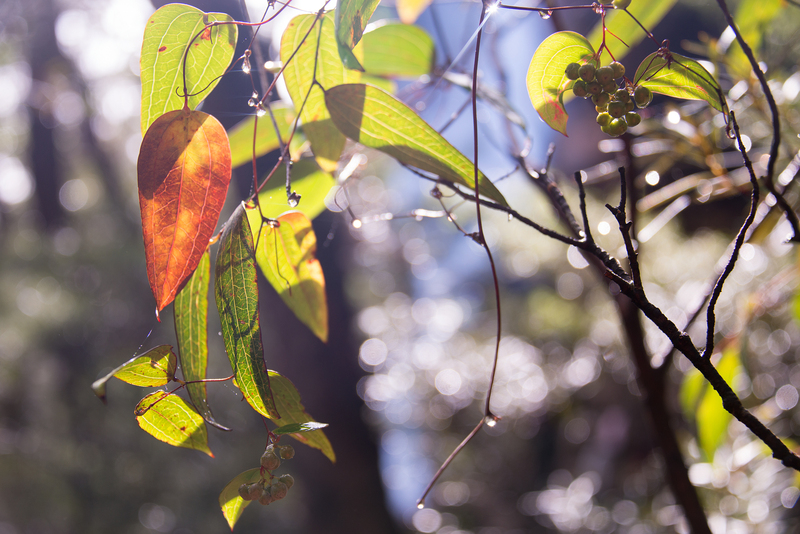 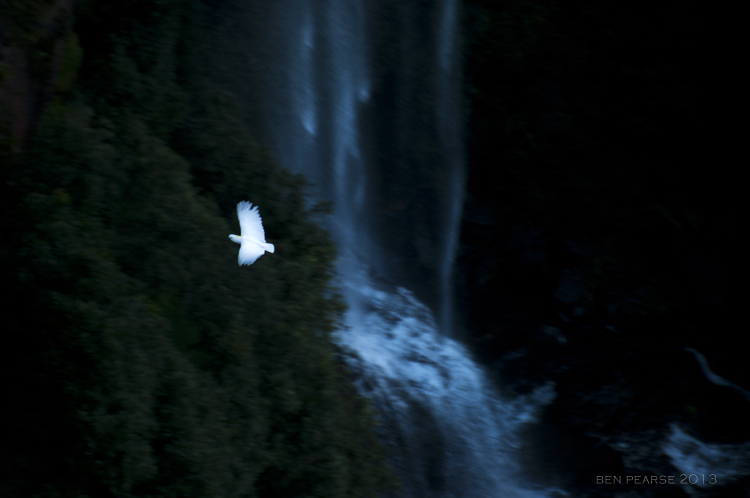 Many times I’ve come down to the jamison valley trying to capture some change in weather or mood. 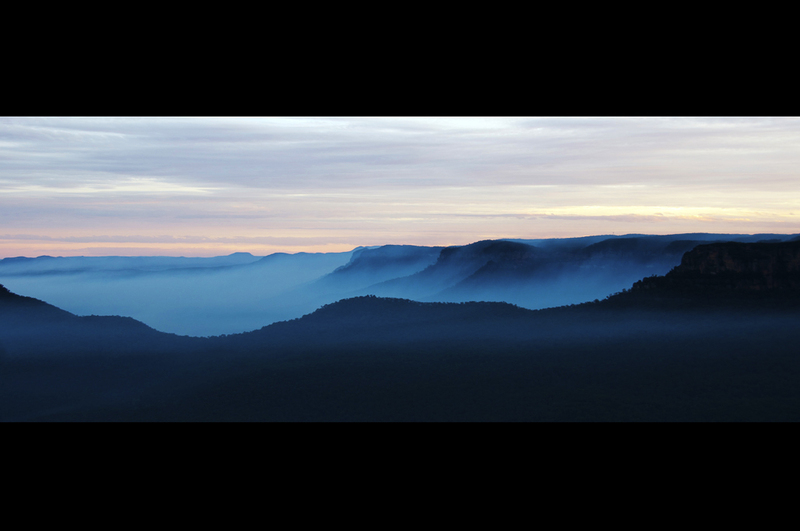 Some of my most memorable photos so far have been the morning mists or the smoke after hazard reduction burns in the valley. 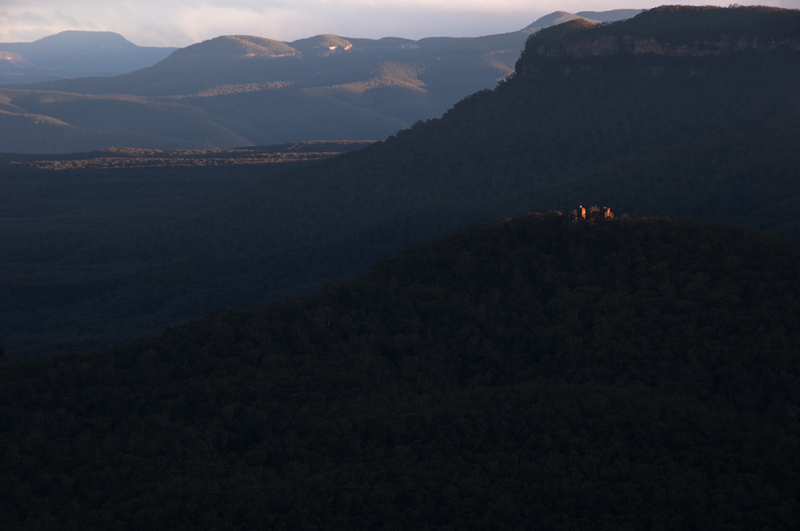 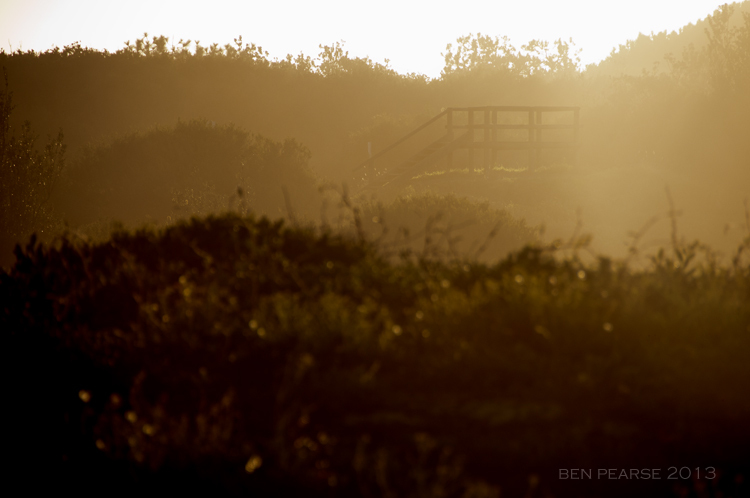 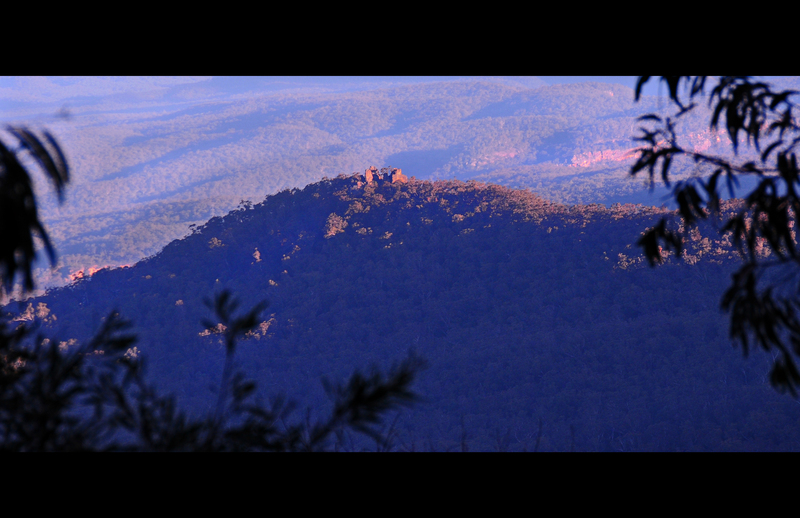 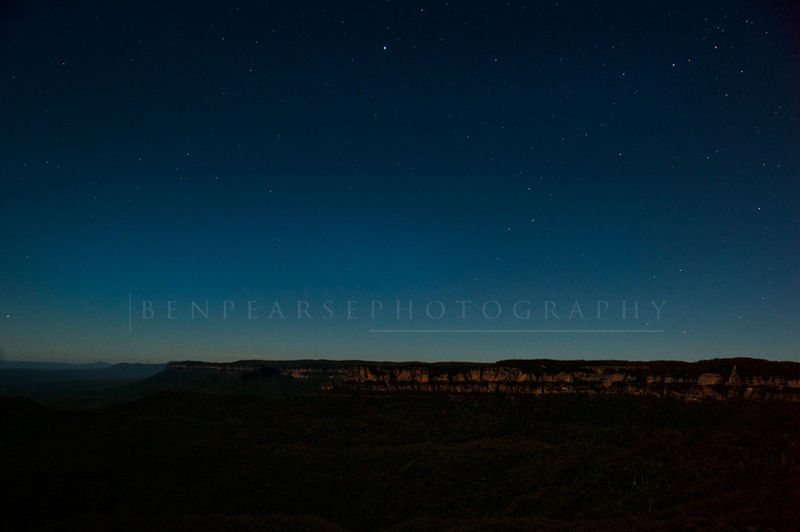 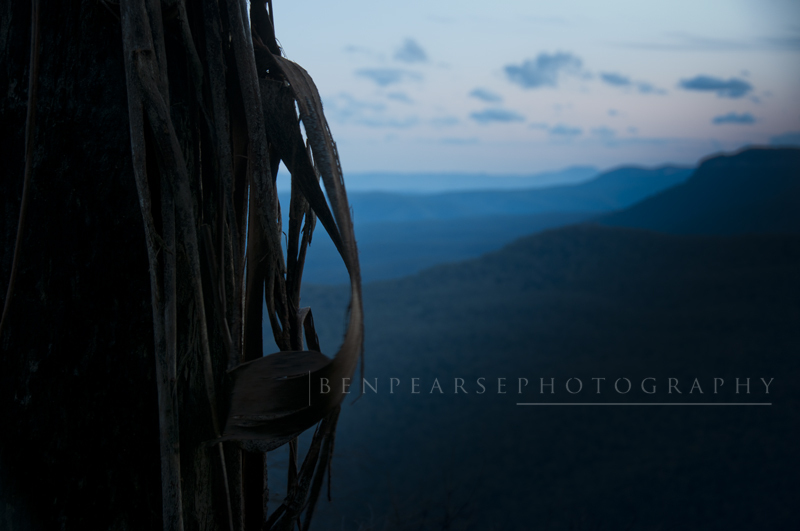 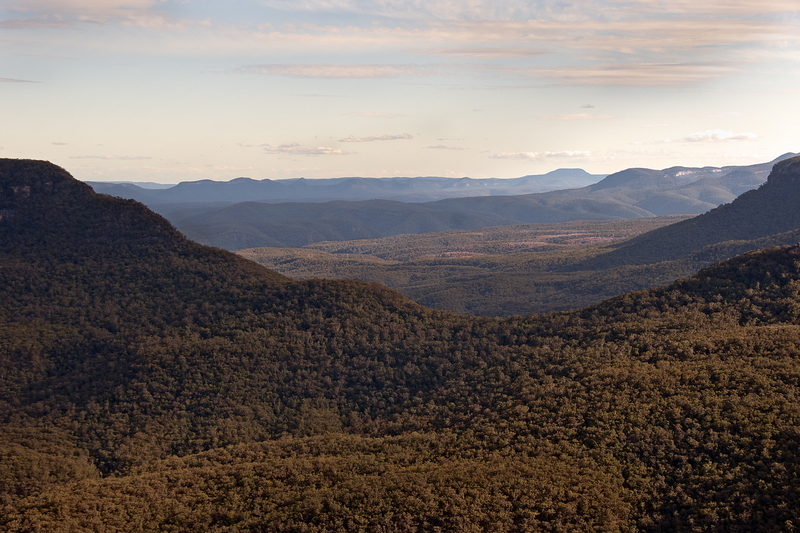 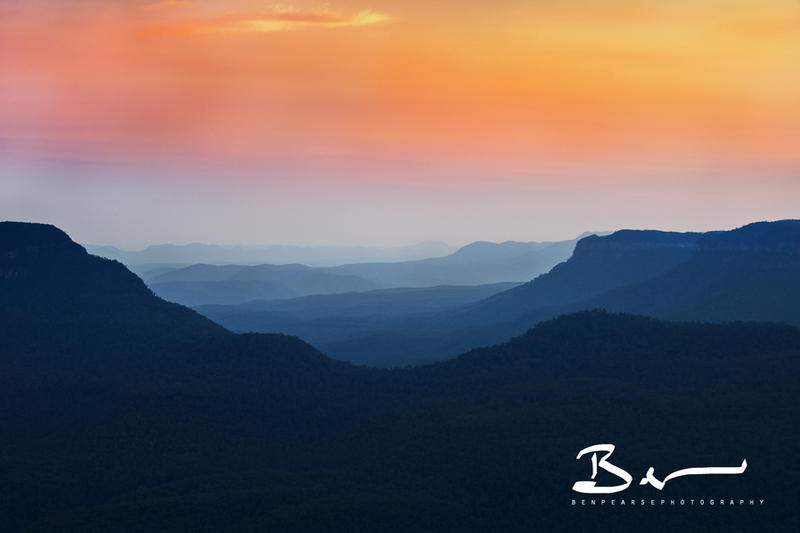 I don’t think i’ll ever tire of looking out into the jamison valley and into the sea of trees………..I just love it. 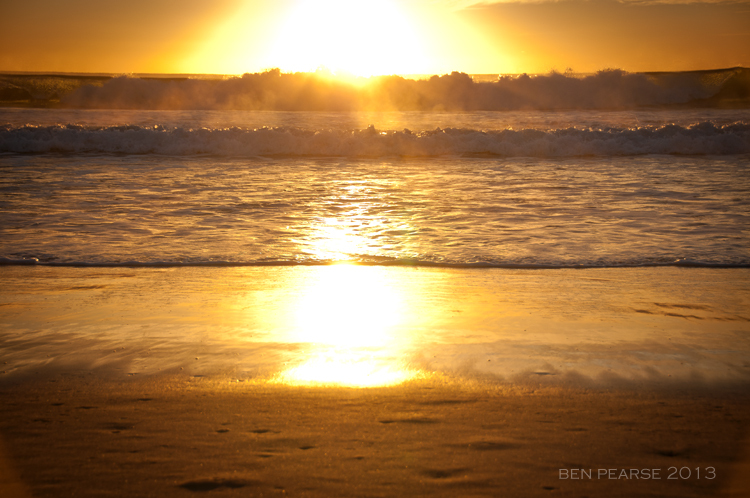 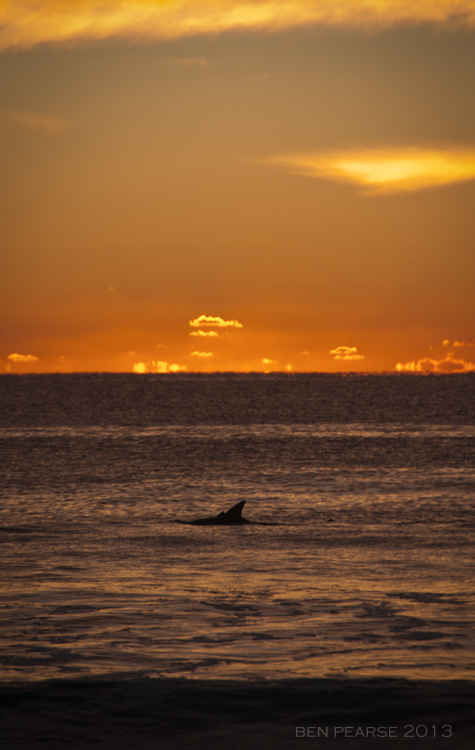 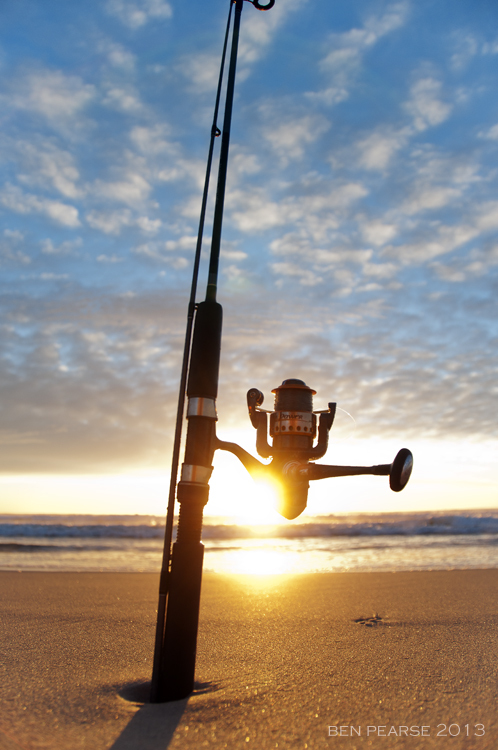 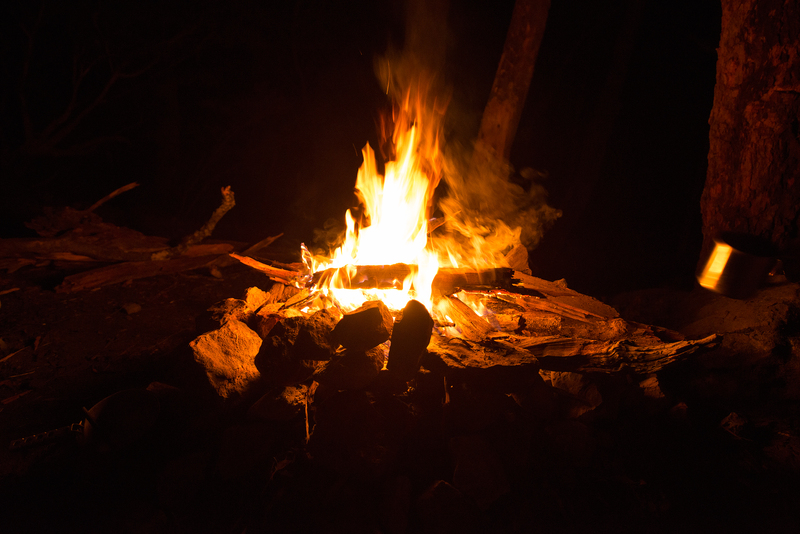 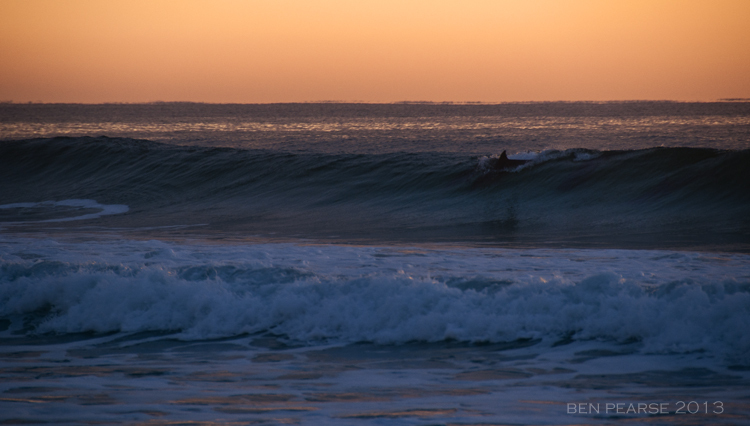 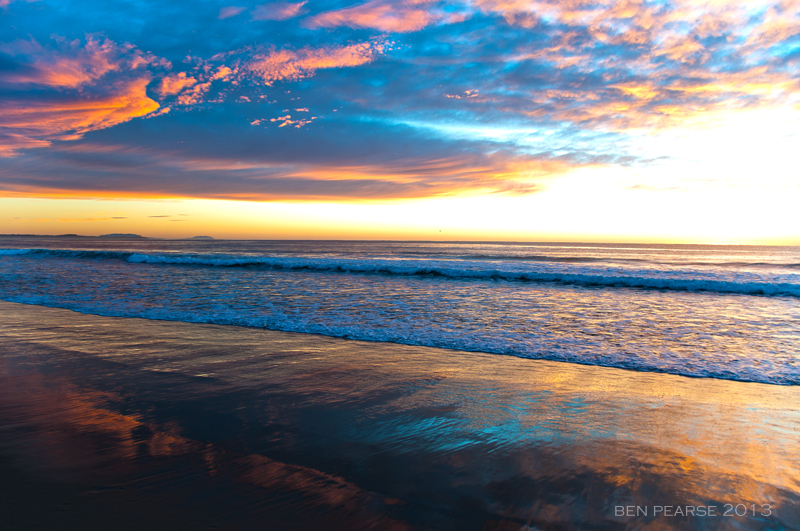 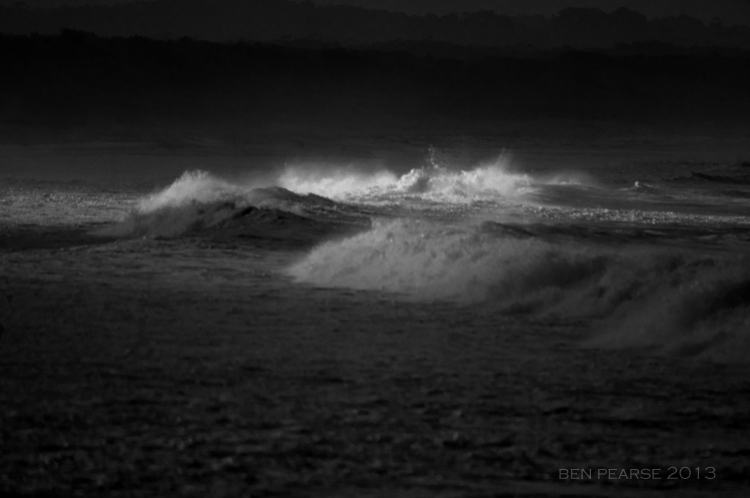 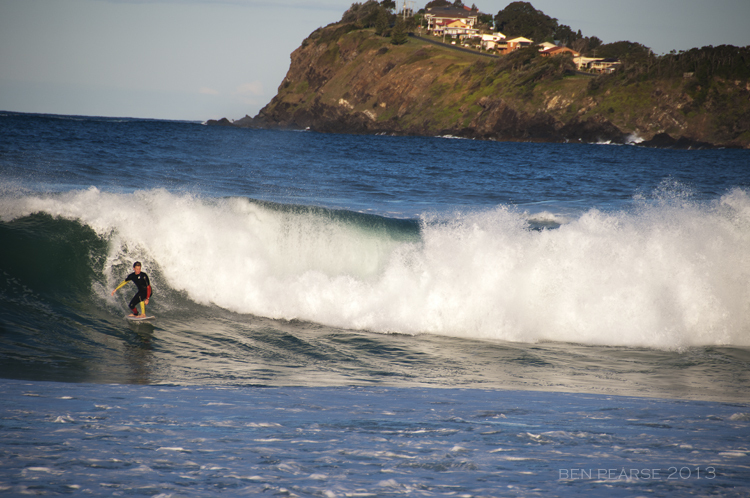 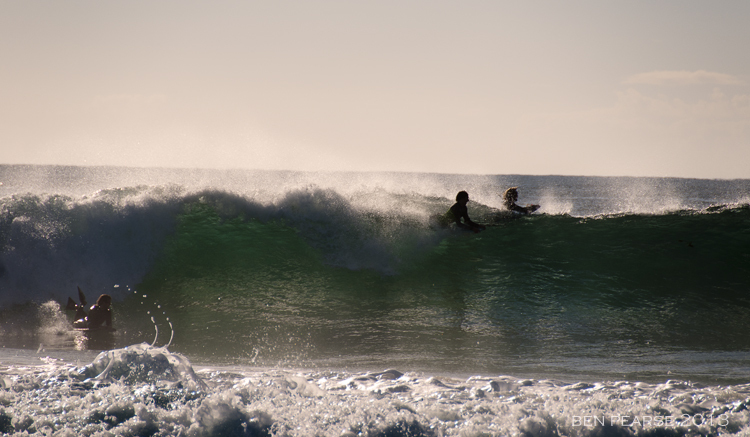 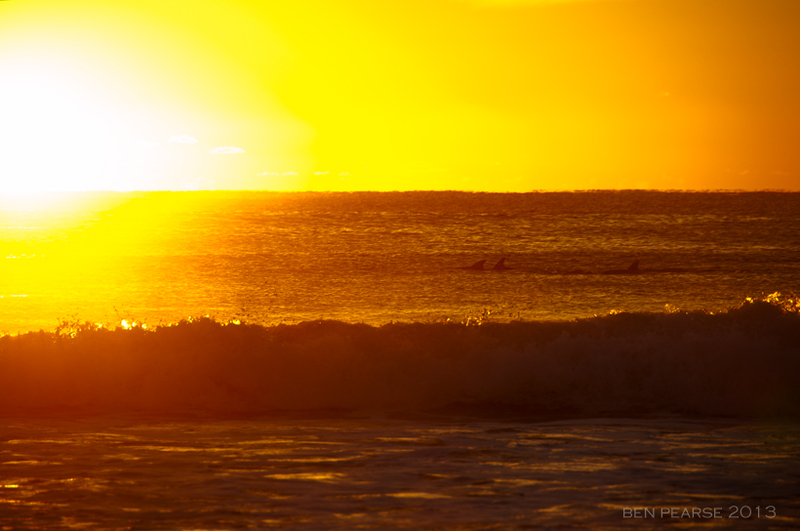 I hope to see you out there….